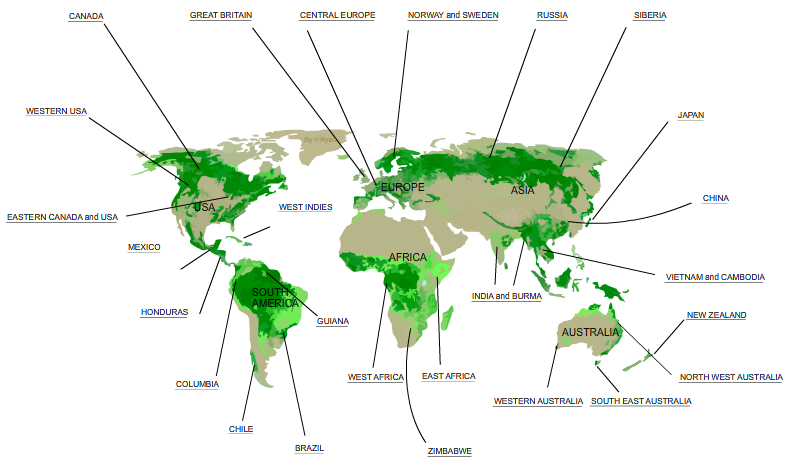 Below is a map of the world, showing the distribution of forests and woodlands. 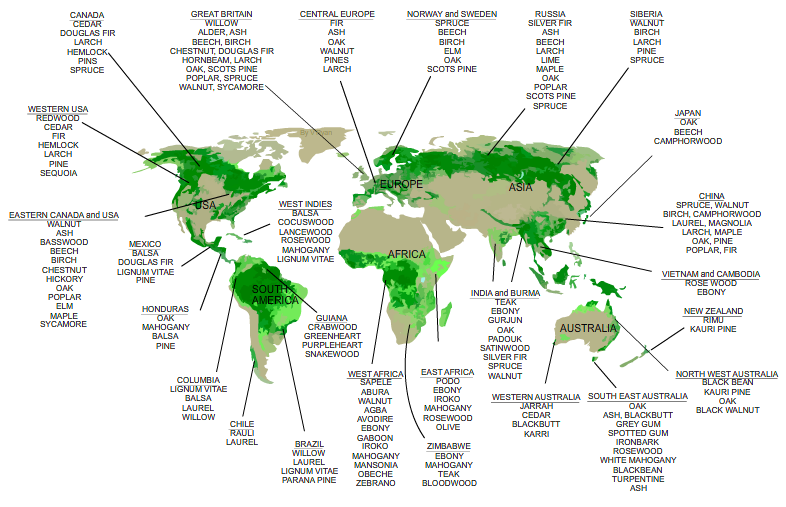 It also names the species of trees grown in regions of the world, for logging / harvesting. Underneath each of the countries / regions named below, list two natural woods from that specific area of the world.